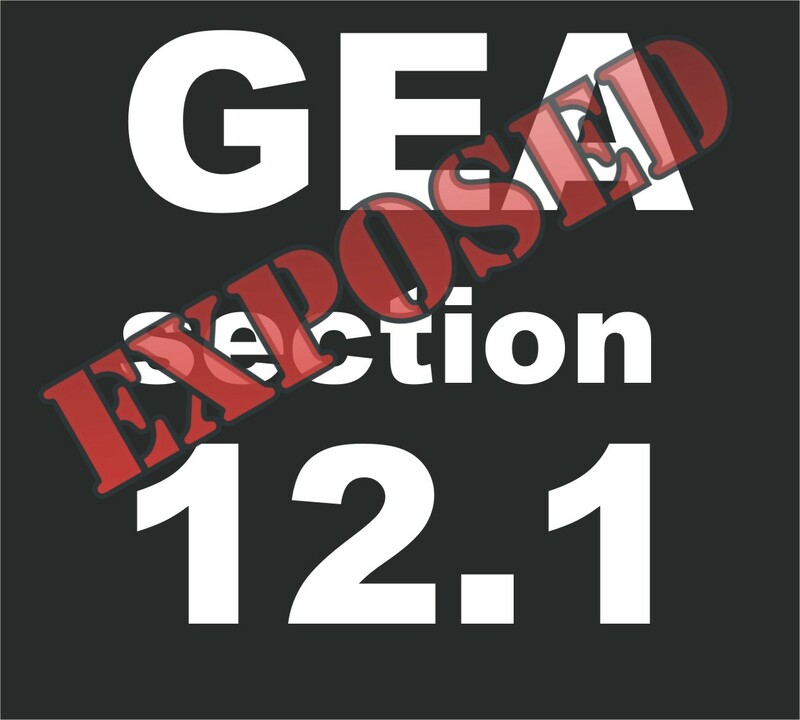 Expose and Fight GEA 12.1! The meaning of Section 12.1 is not nearly as boring as the number might lead you to believe. If you would like to only read several sentences of the GEA Reg 359/09 in your lifetime, skip down to this number. Twelve-point-one is the loop hole through which all wind projects are funneled, to ensure guaranteed approval by the Ministry of Environment. Doing so will save you years of fighting, and quite simply sums up how once you have gone through the process set out by the Ministry of Environment, the wind company meetings, the comment forms, the reading of thousands of pages of technical documents, the questions, more comment forms and more reading, … and once you have finally come to the end, depleted of energy, resources and life, you get one real chance at appealing the MOE Directors approval of this project: The Environmental Review Tribunal Appeal. (1.1) A person who proposes to engage in a renewable energy project but does not comply with the requirements set out in subsection (1) may be eligible for the issue of a renewable energy approval if the Director is of the opinion that failure to comply with those requirements will not compromise an adequate understanding of the negative environmental effects of engaging in the renewable energy project. O. Reg. 521/10, s. 5 (2). (1.2) A person who proposes to engage in a renewable energy project but does not comply with the requirements set out in subsection (1) may be eligible for the issue of a renewable energy approval if the Director is of the opinion that failure to comply with those requirements will improve consultation respecting the project with the public, local authorities or any aboriginal communities. O. Reg. 521/10, s. 5 (2). If you don’t think it will ever be used in your lifetime (surely it’s a little too draconian) – you might as well know now – it already has, at the Mapleton Judicial Review (Preserve Mapleton Inc. vs. MOE) earlier this year: Have a long sobering read through it, and then by all means, get mad! Posted on November 1, 2012, in Ethics, Government, Ministry of Energy, Ministry of Environment. Bookmark the permalink. 1 Comment. It’s maze with no exit. It can work the other way too, a company could spend $millions doing all the right background work for an approval and be turned down, ultimately what we are experiencing is Fascism at work.